So I was talking to a cousin of mine at a family get together about my new found like of whiskey. I have had 5 star, high 10, and many others then I was informed about the Makers Mark Ambassador Program and so I joined it shortly their after. I am posting some of my pics of the stuff I got along with links to others websites that have more information!!! Posted on December 30, 2012 by CRCJFLYNN. 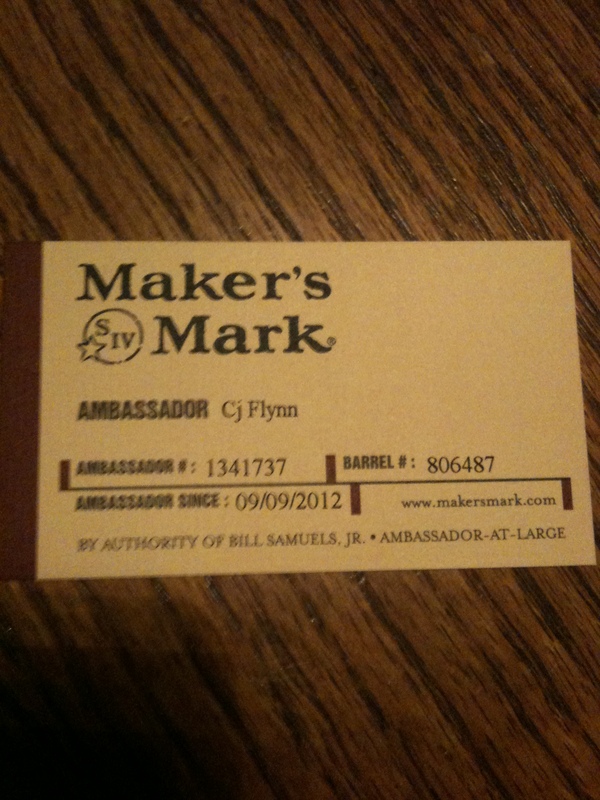 This entry was tagged backup, Maker's Mark Ambassador Program, Markers Mark, whiskey. Bookmark the permalink.